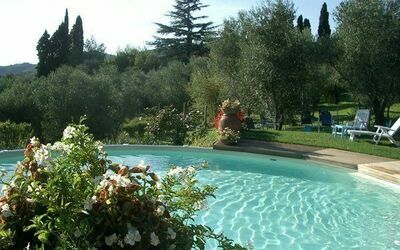 The Farmhouse ‘Le Poggiola’ welcomes its guests to a green and peaceful corner of Tuscany not far from the city of Florence. 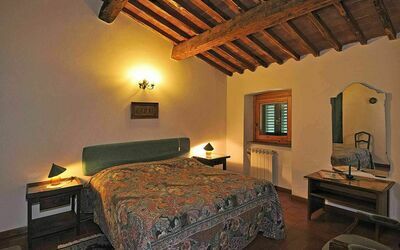 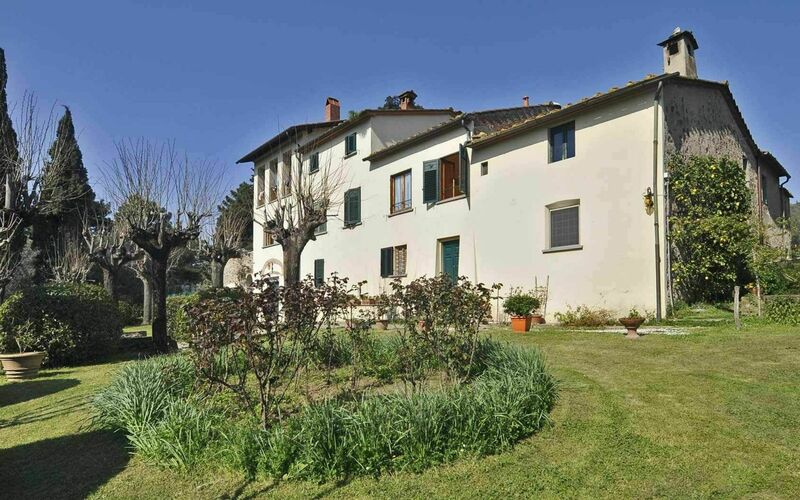 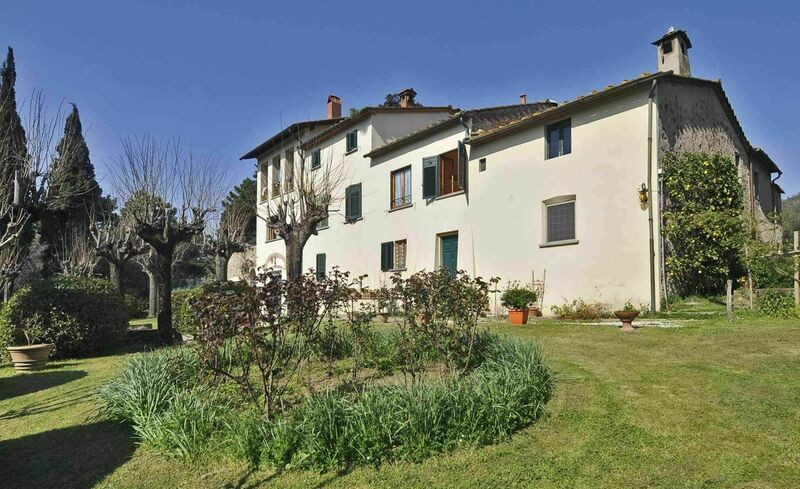 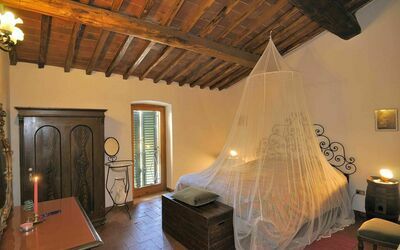 Situated in the district of Serravalle Pistoiese, 8 km from Pistoia, ‘Le Poggiola’ lets you enjoy a holiday in the countryside amongst nature. 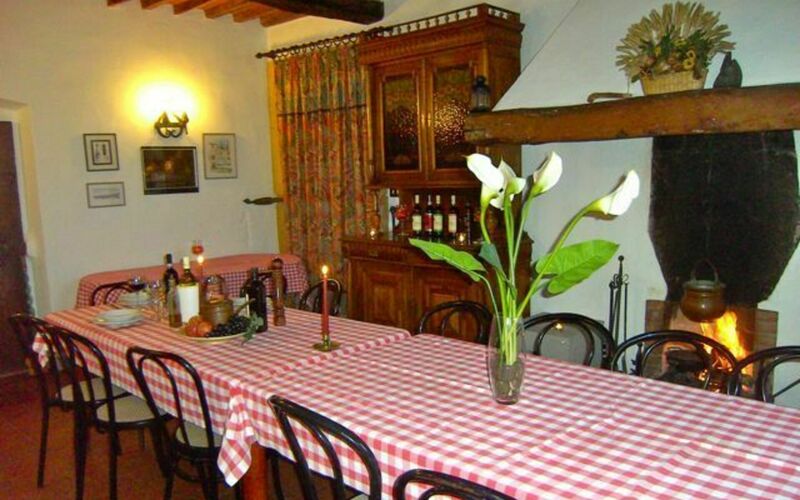 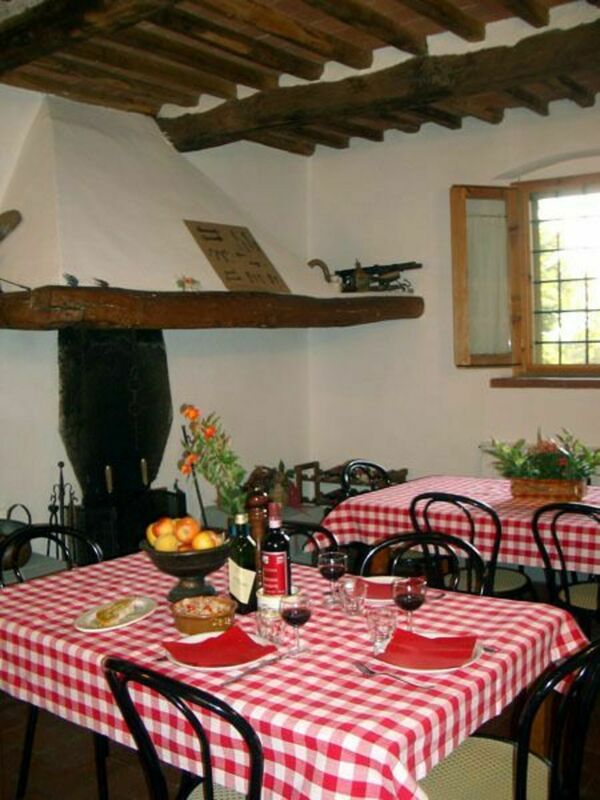 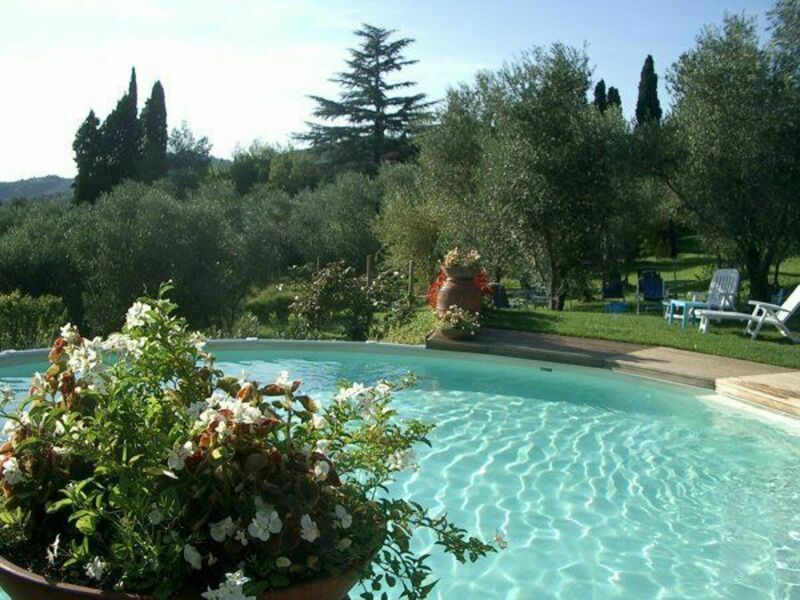 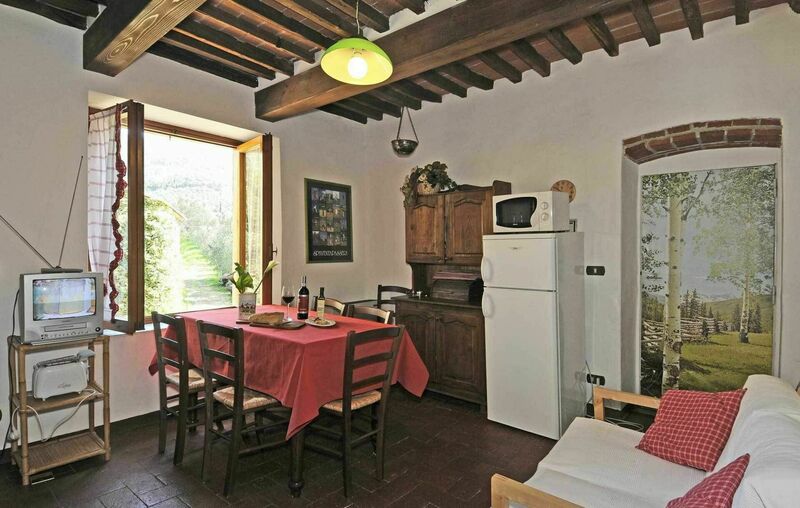 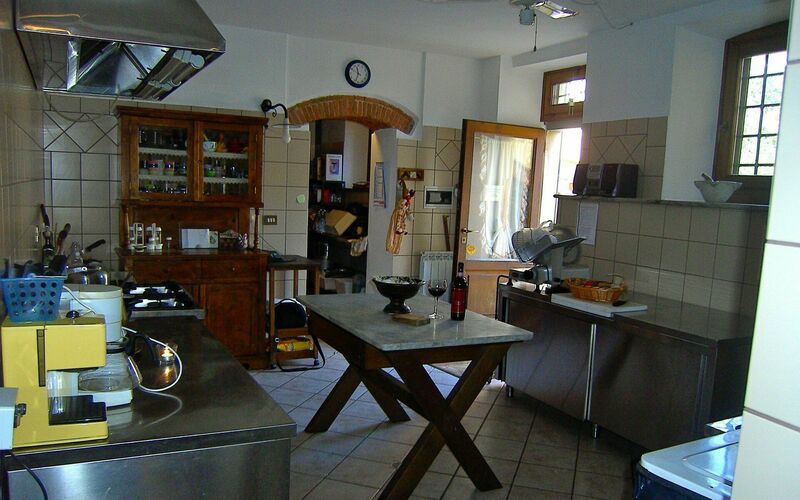 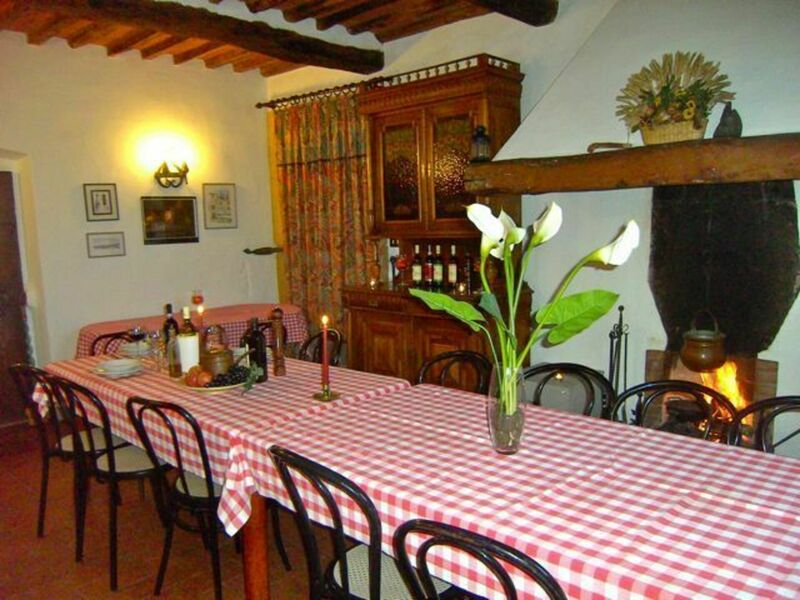 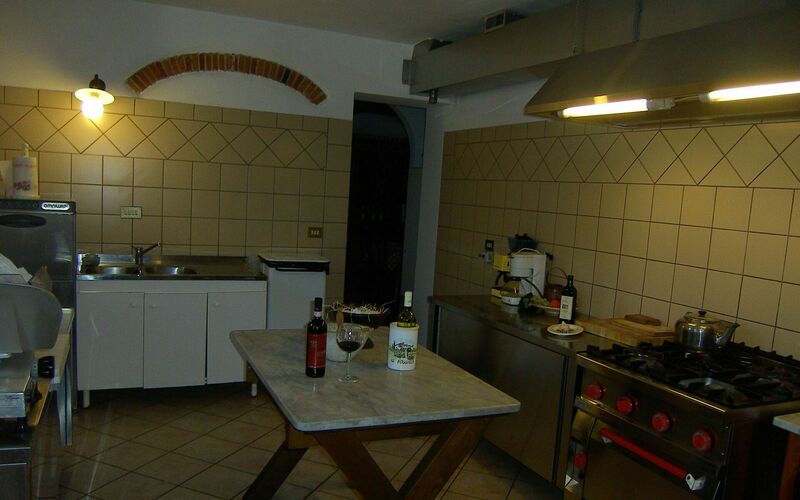 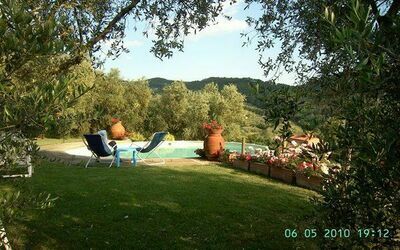 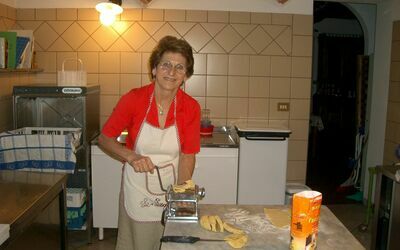 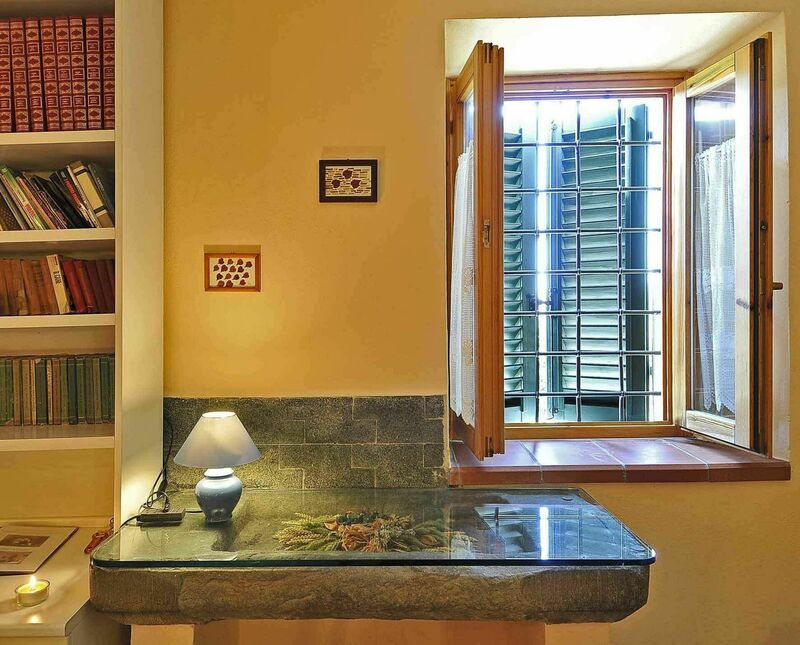 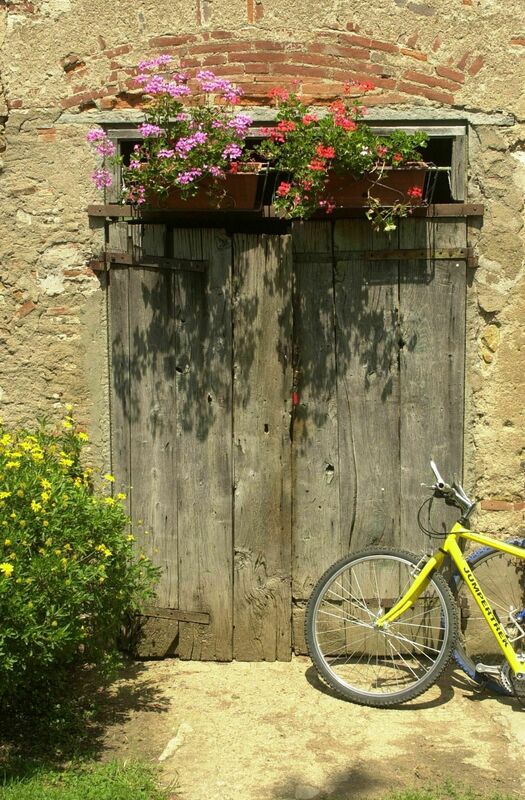 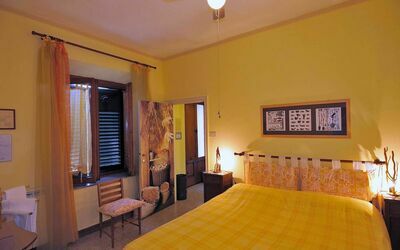 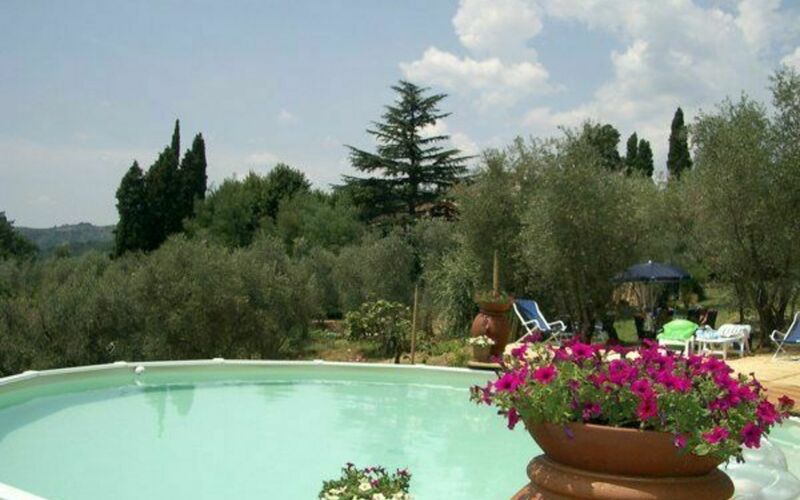 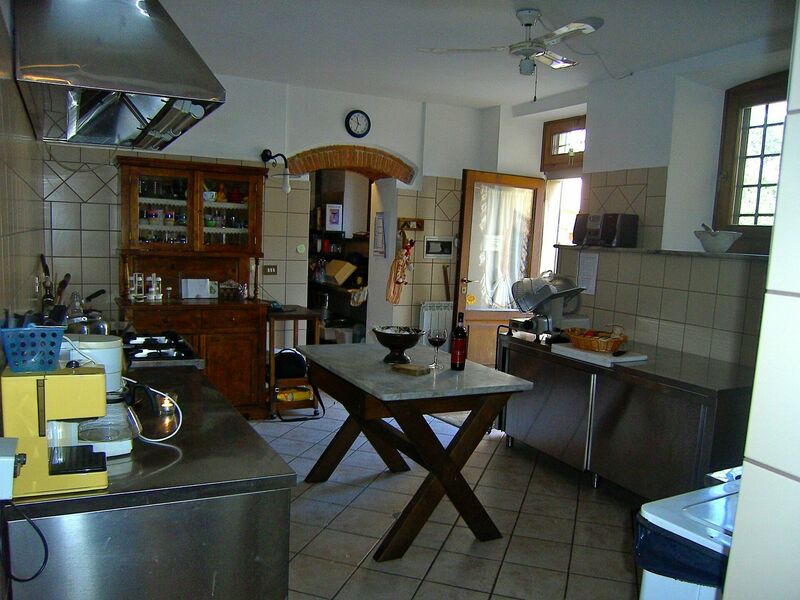 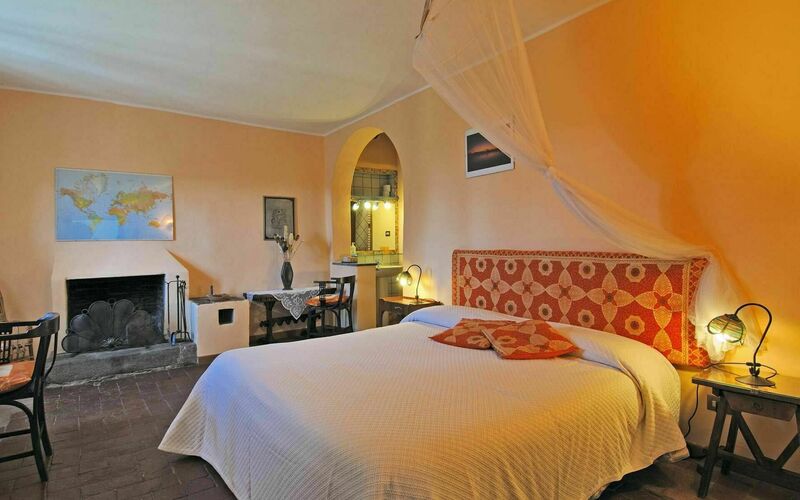 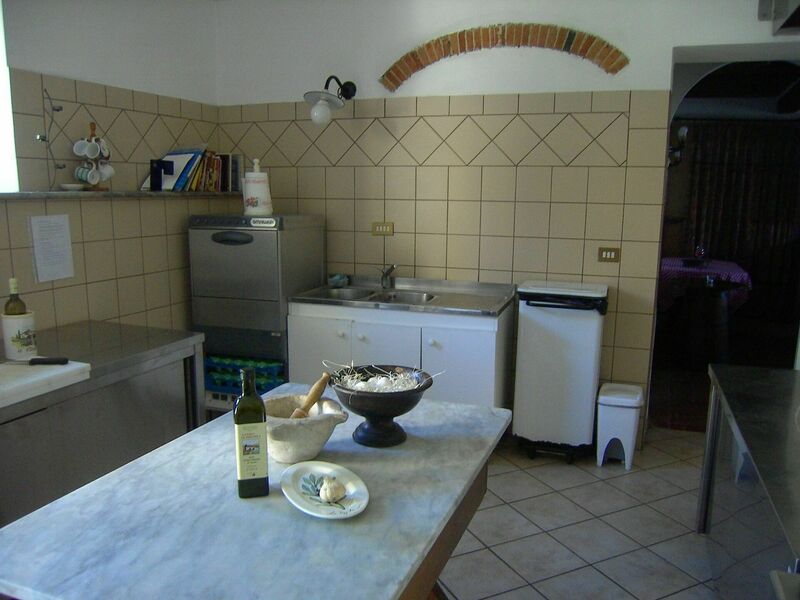 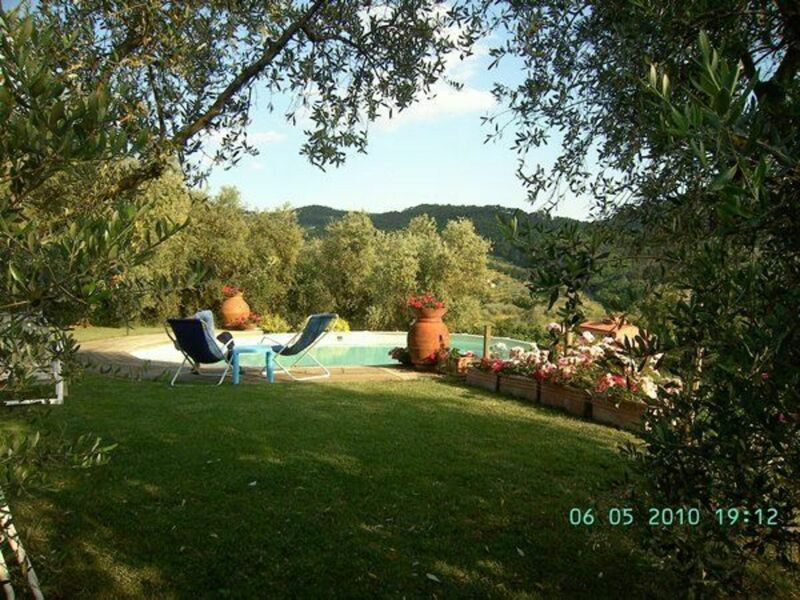 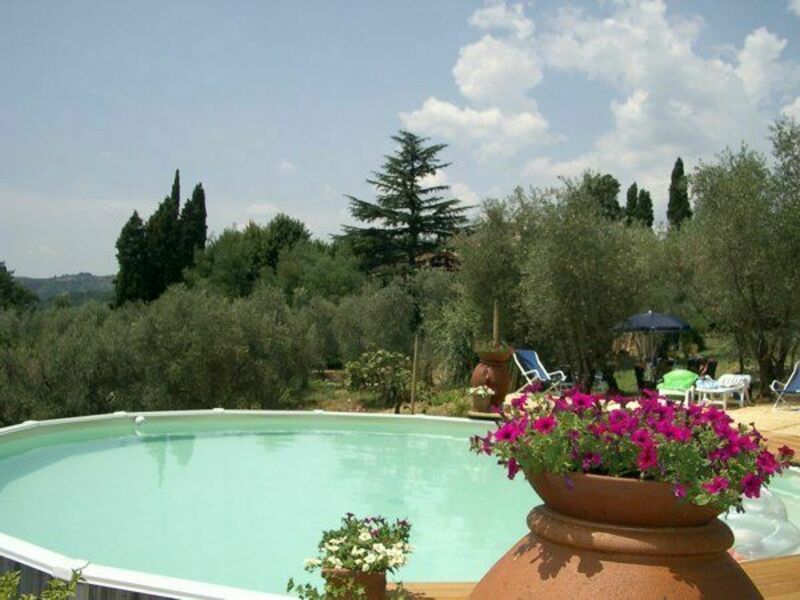 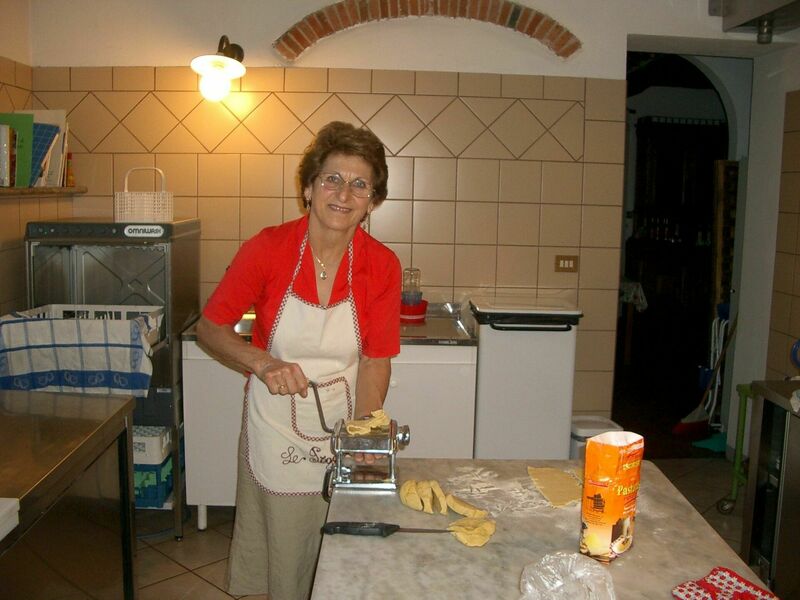 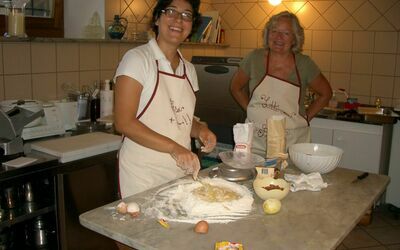 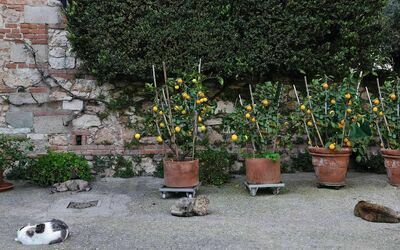 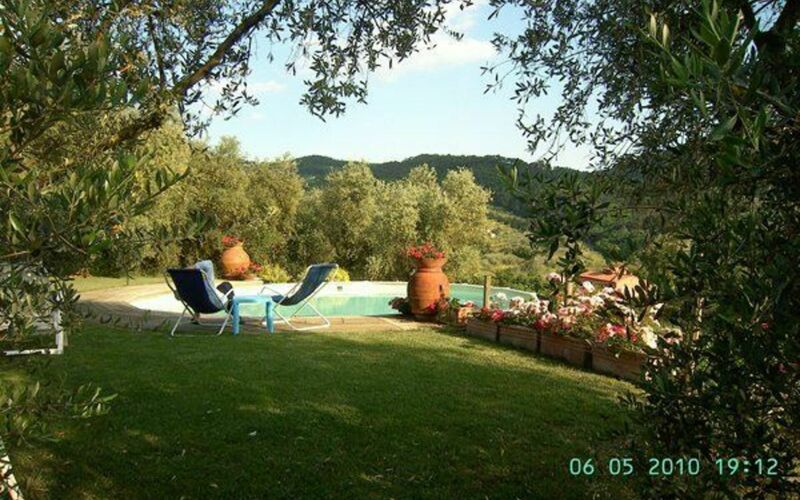 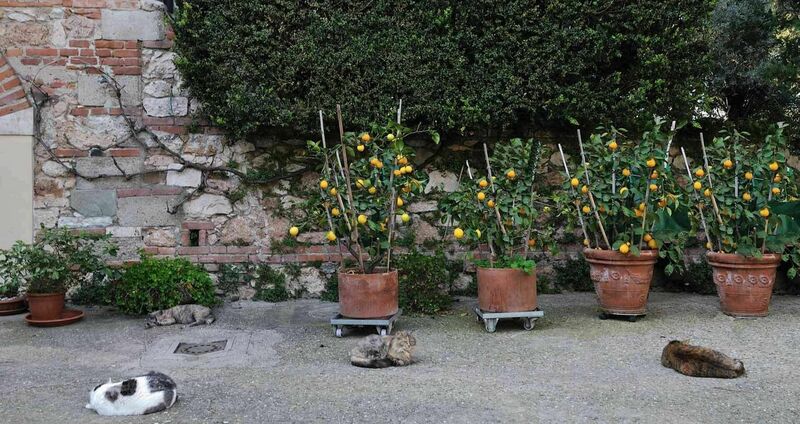 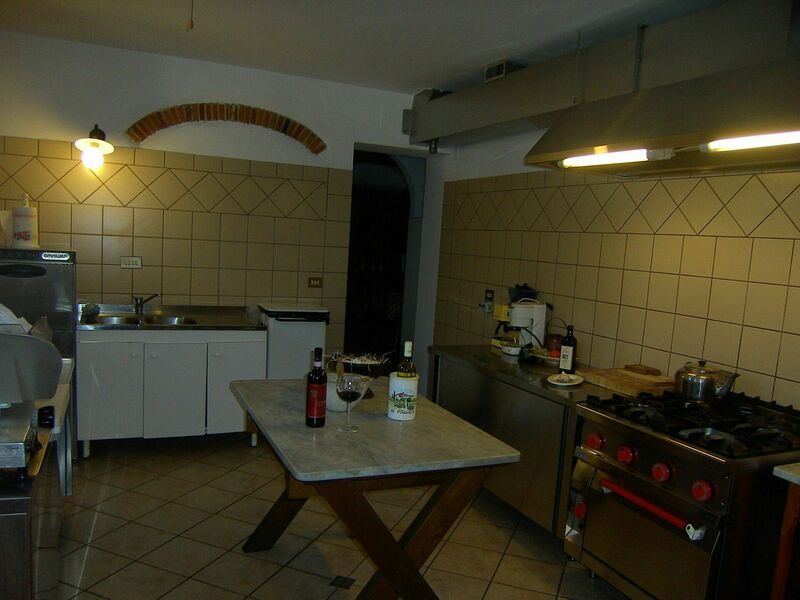 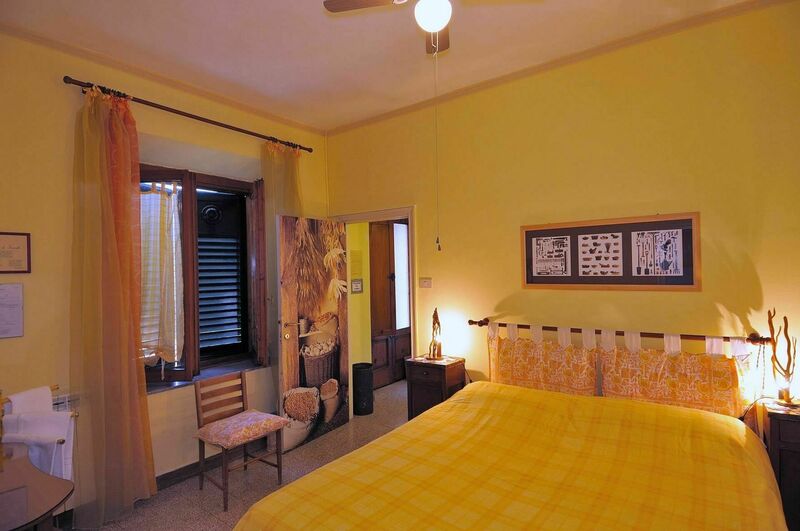 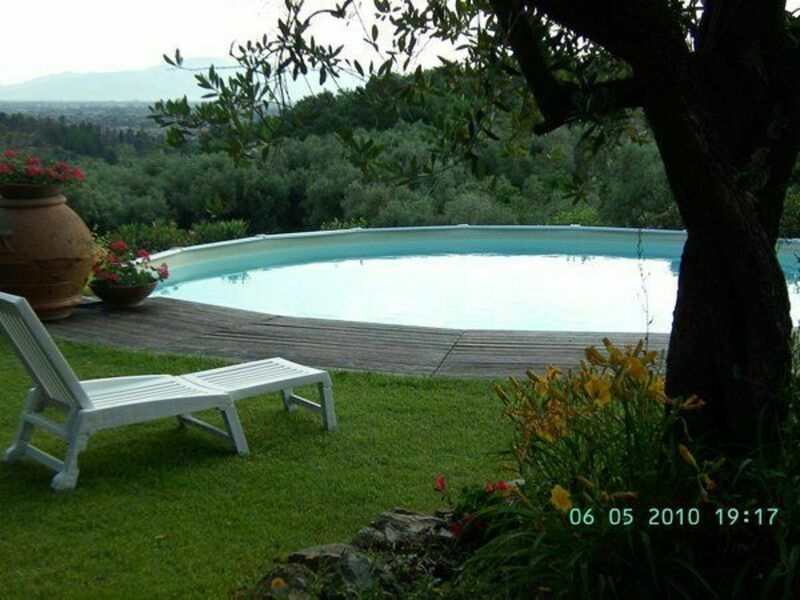 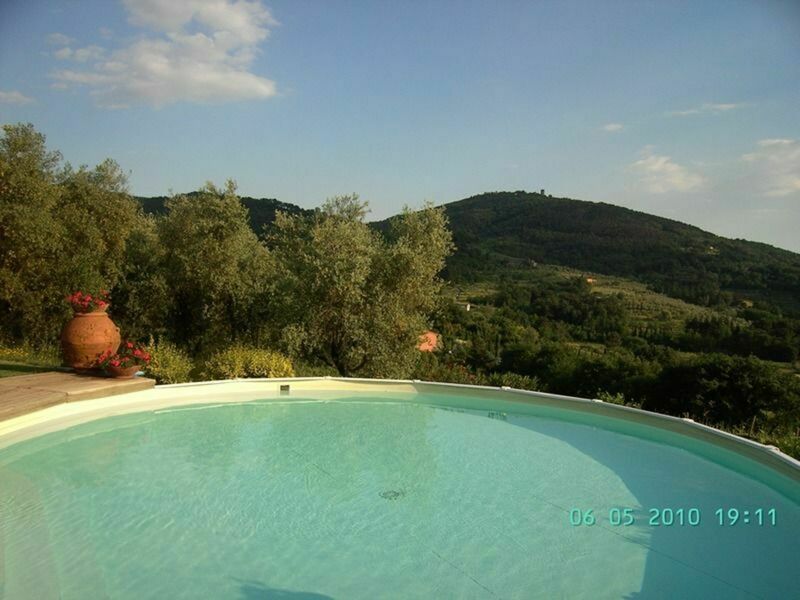 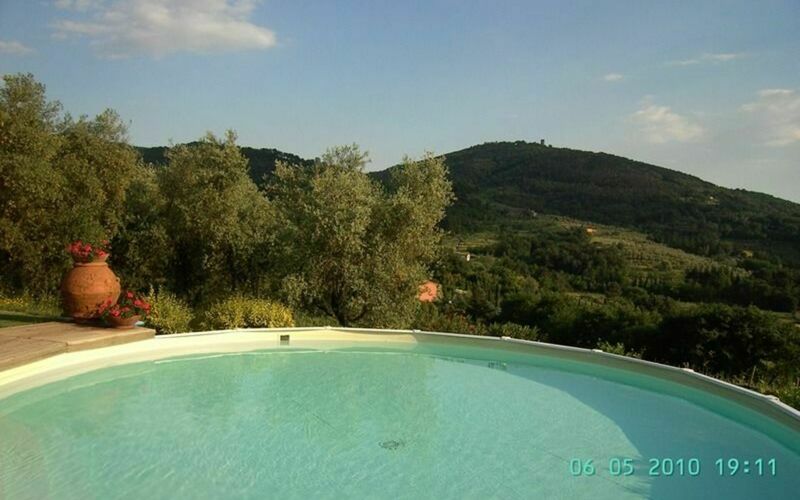 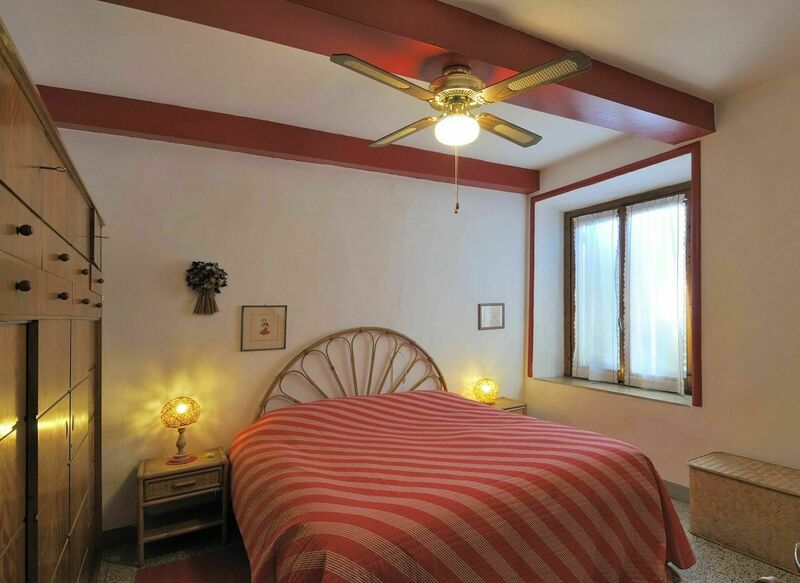 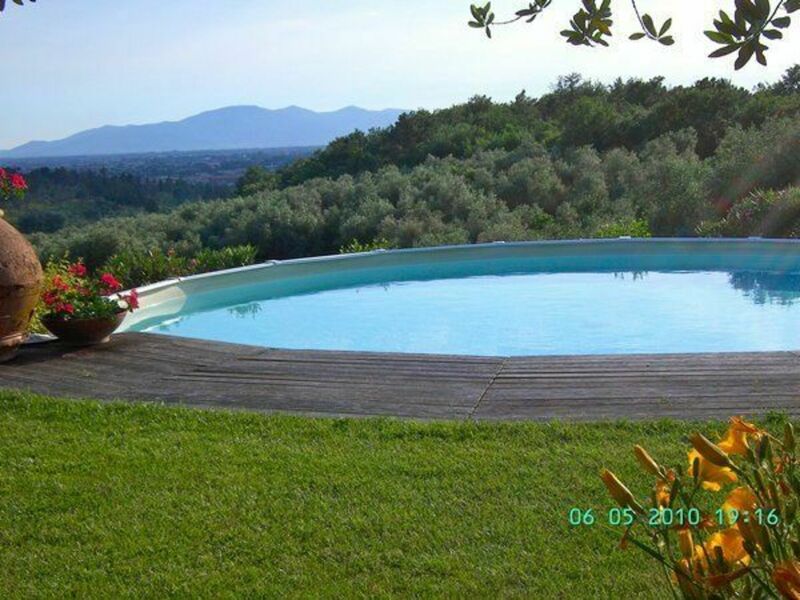 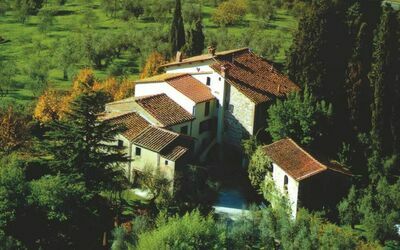 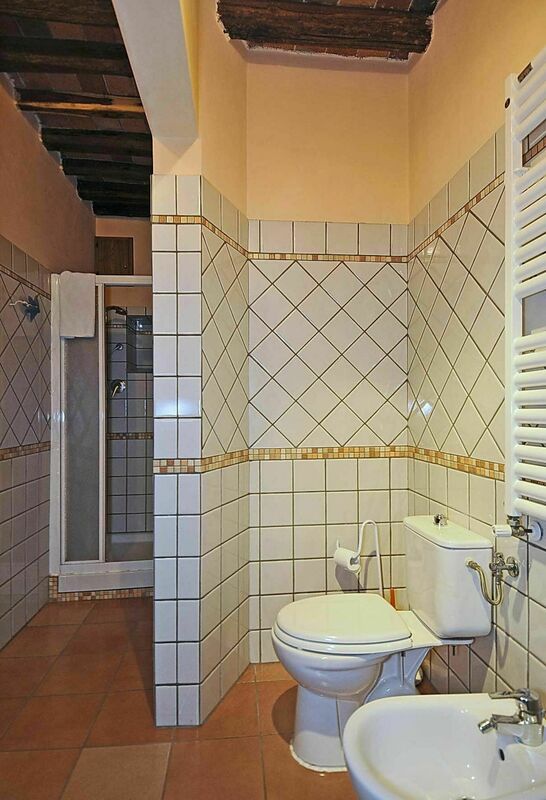 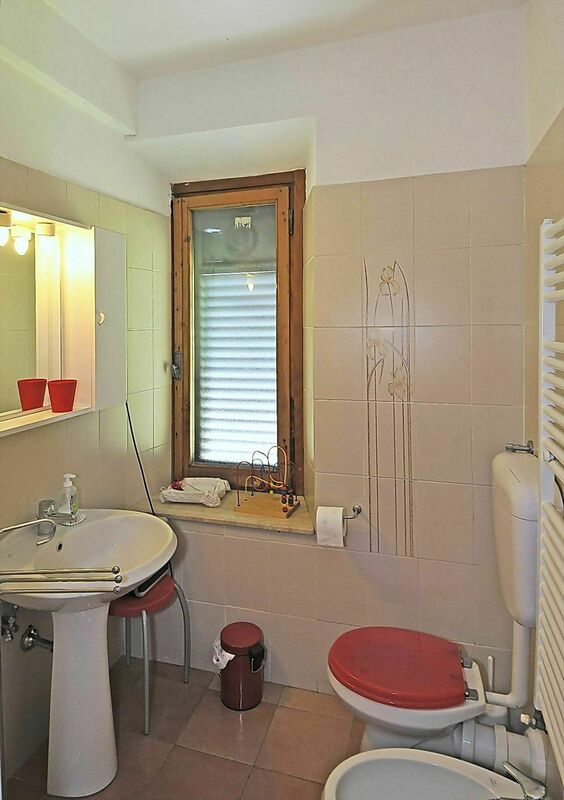 However you are in close proximity to many of the most renowned attractions in Tuscany, by car and public transport. 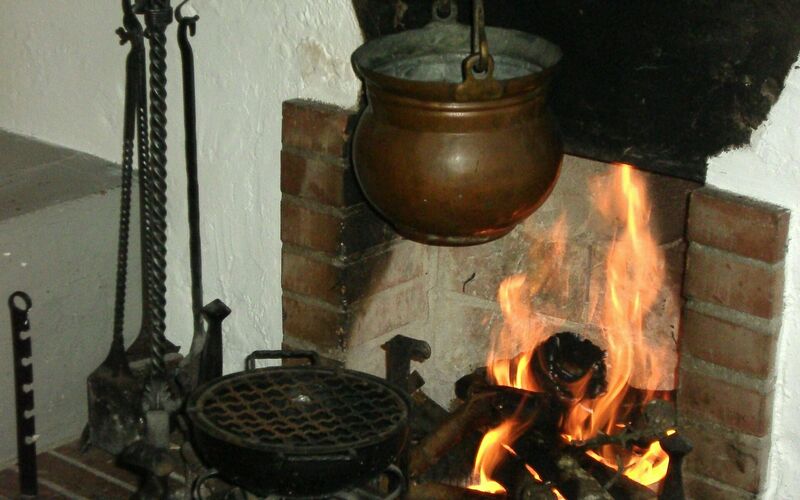 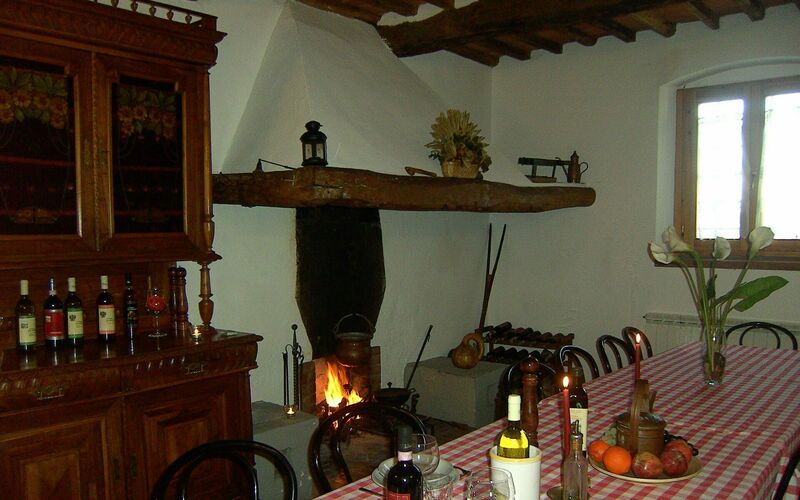 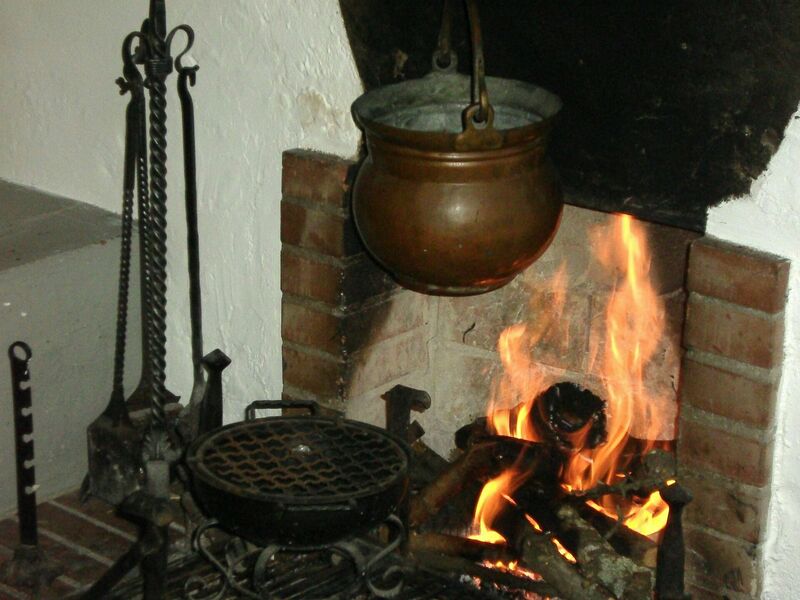 'Le Poggiola' has been converted from the Barsi Family home, an eighteenth Century Farmhouse. The owners lives in a portion of the villa with separate entrance. 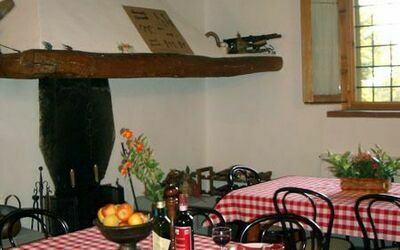 The owners’ first passion was to restore the old farmhouse, but in doing so they discovered a new love for everything to do with the culture of the vine. 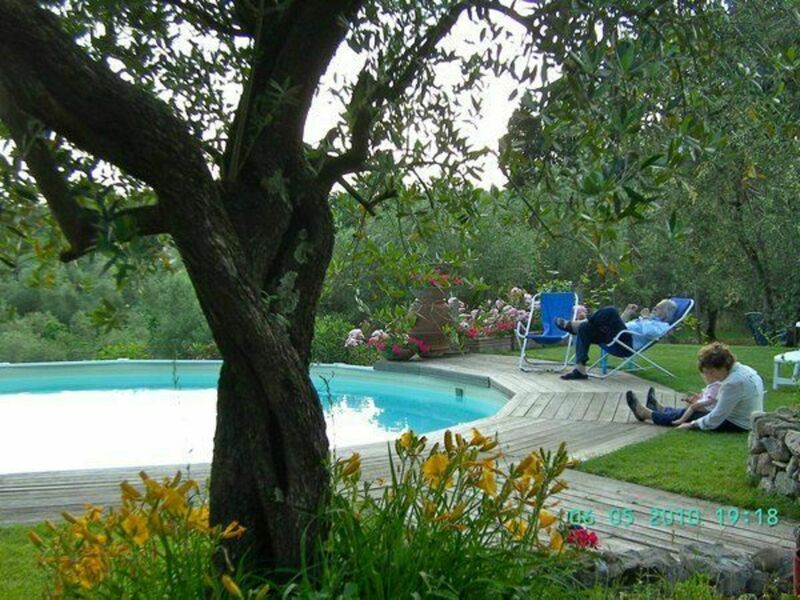 Starting with a vineyard of 2.5 hectares planted in 1976, they perfected the art of making, ageing, and bottling wine. 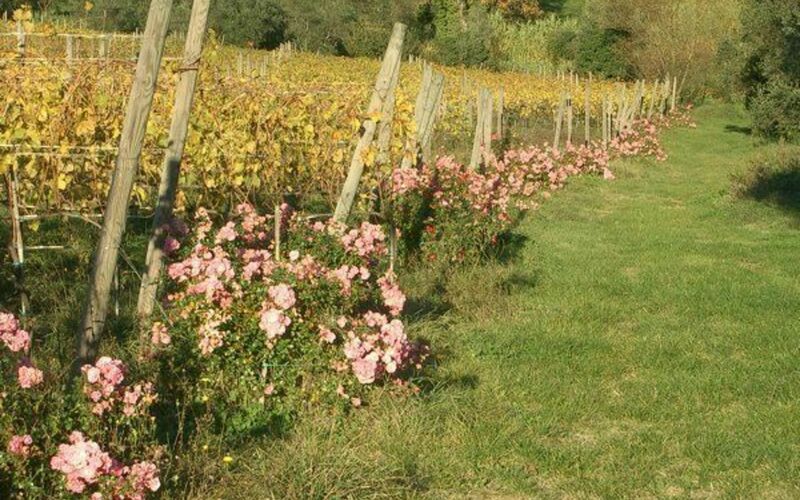 In the year 2001 three new vineyards hve been planted. 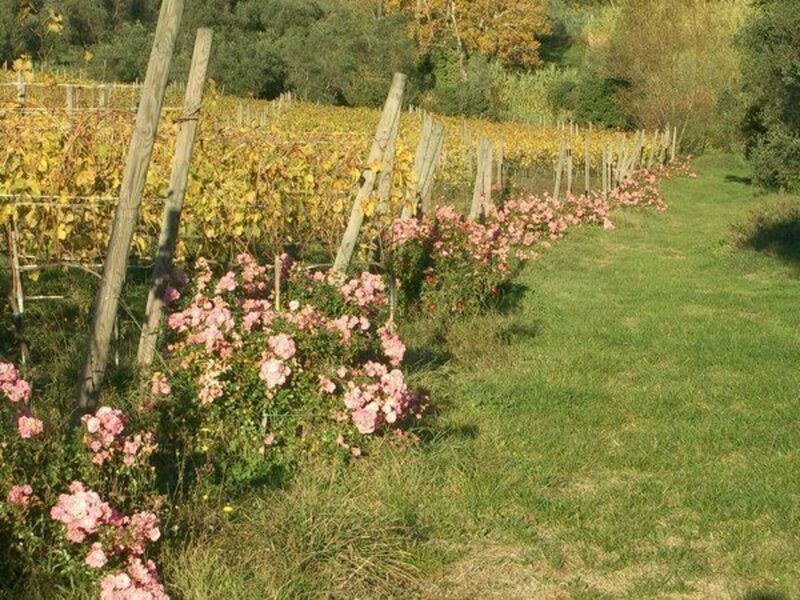 Today we produce traditional Chianti wine, white and rose DOC wine, and the Tuscan Vin Santo, a sweet dessert wine made with dried grapes. We also produce a fruity extra-virgin olive oil with 2000 plants. 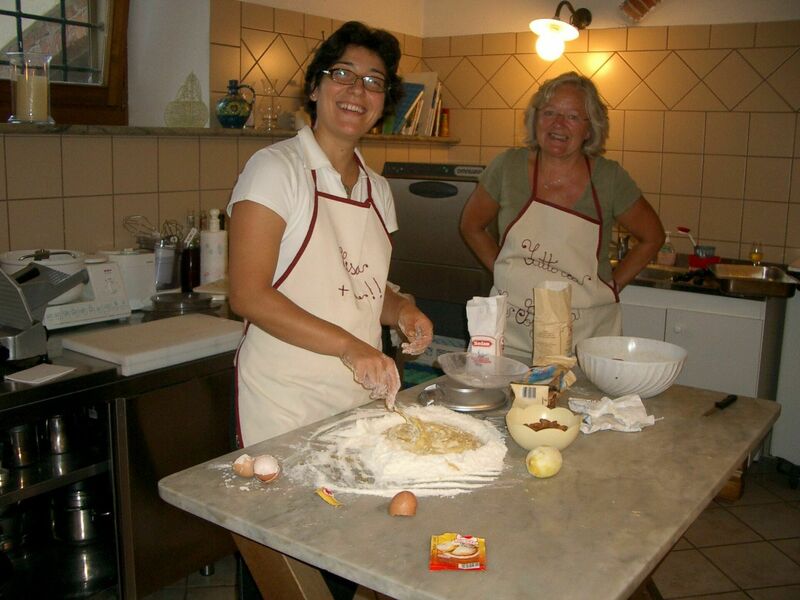 Wine and olive oil tasting of are available on demand and Le Poggiola’s owners are happy to share their knowledge of their home produced products. 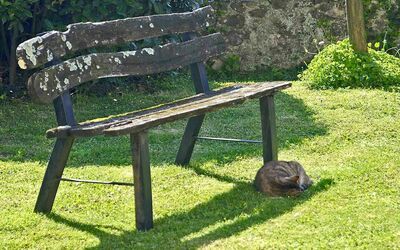 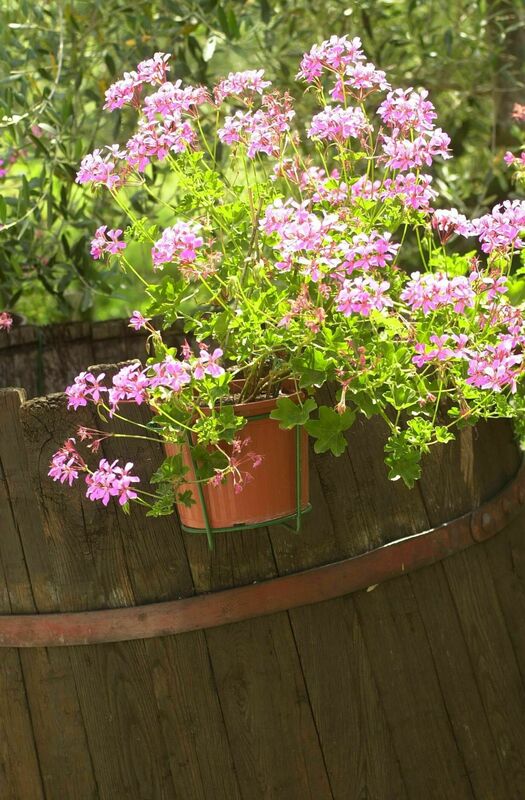 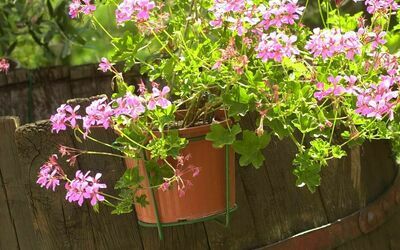 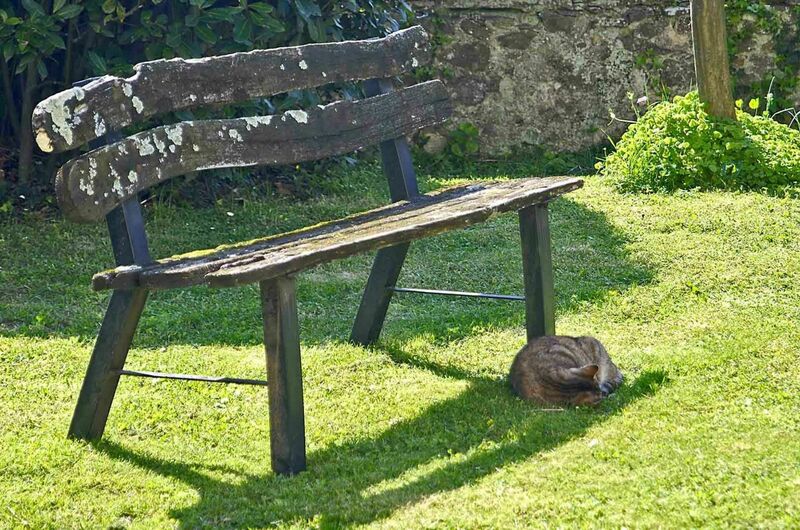 The house is surrounded with beautiful gardens where you can simply relax and enjoy the countryside. 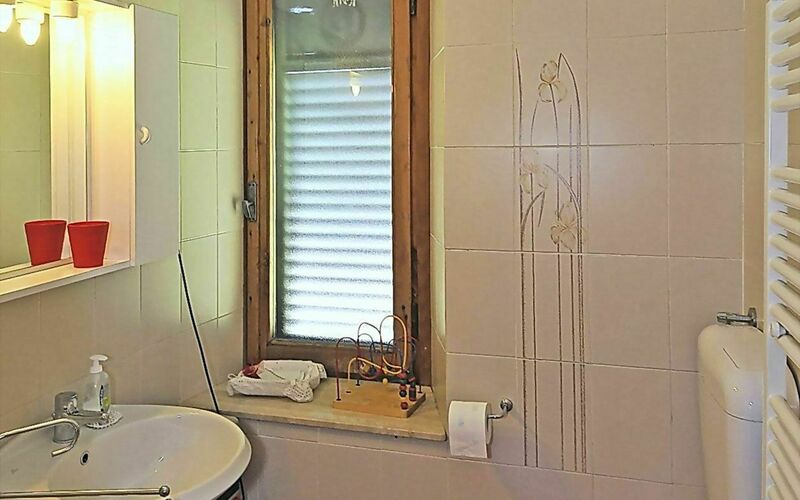 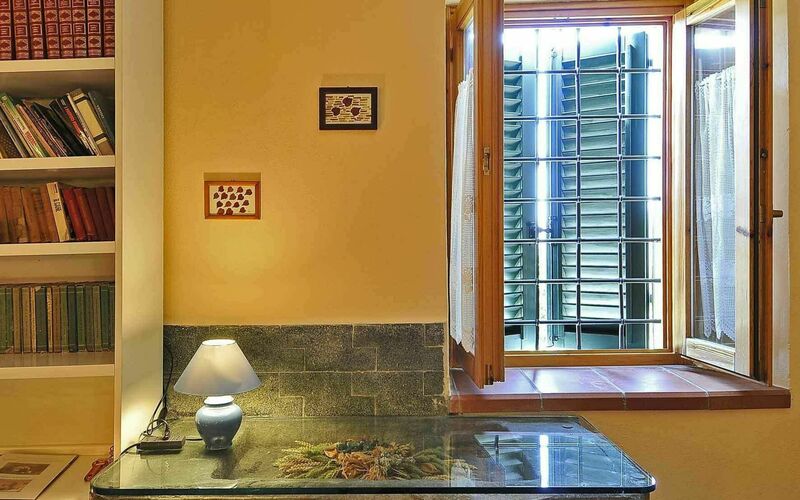 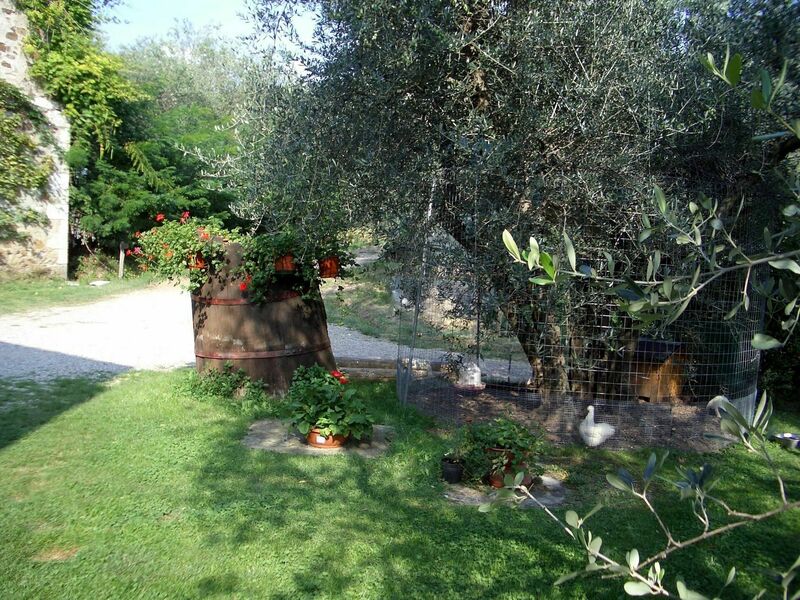 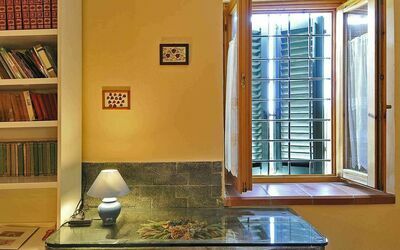 Due to the clever arrangement of the rooms and the surrounding countryside, even the presence of a major road in the distance cannot break the peace of the olive groves. 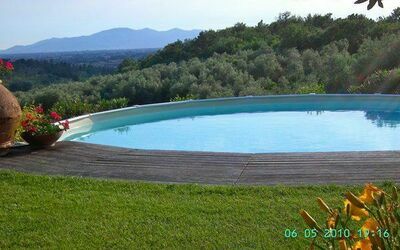 An above the ground pool is of 8,50 diameter, 1,20 mt constant high. 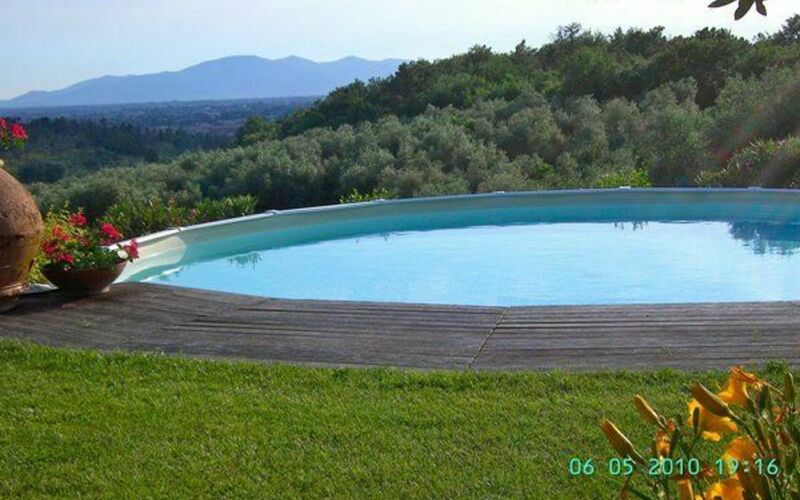 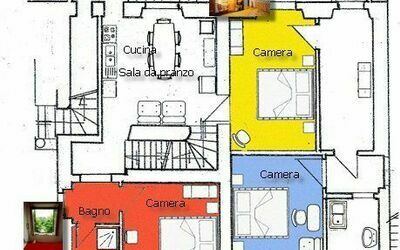 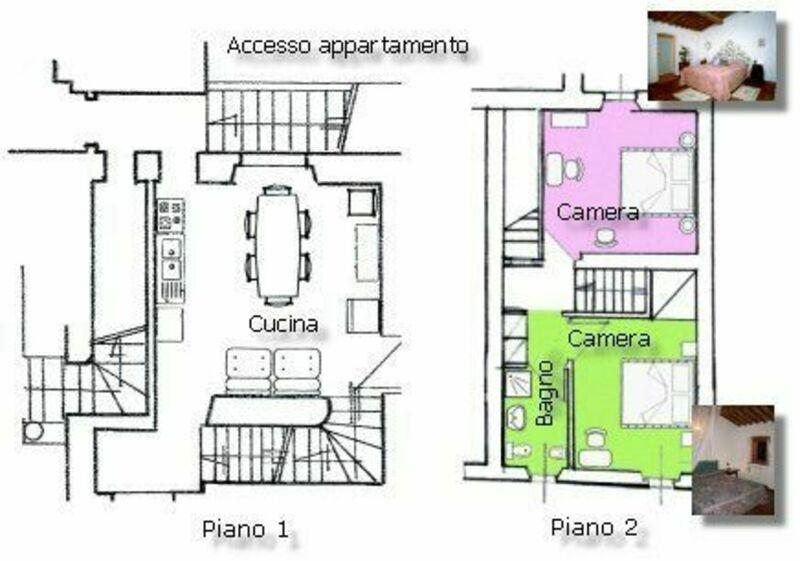 It has been constructed in 2006 in a very panoramic site where you have a view on the Valdinievole Valley till the Pisa Mountains. It is provided with shower, chairs, long chairs, umbrelas and table. 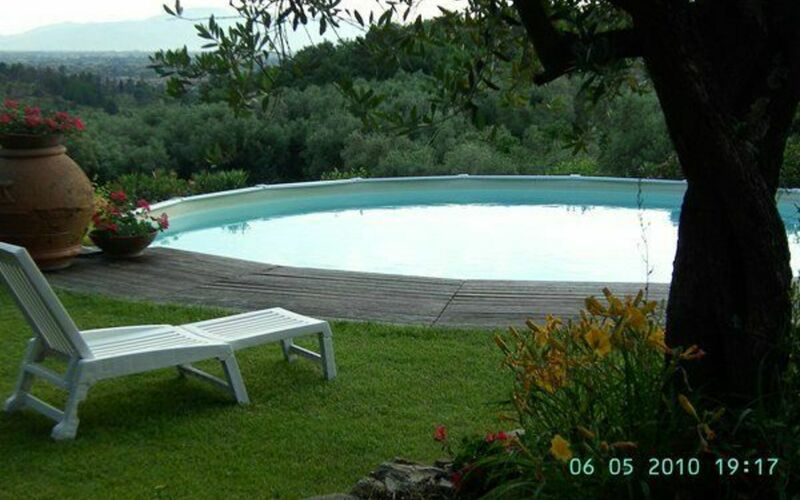 We take care of the cleaning of the pool and garden. Garden is provided with tables, chairs, gazebo where you can eat al fresco, ping pong, barbecue. 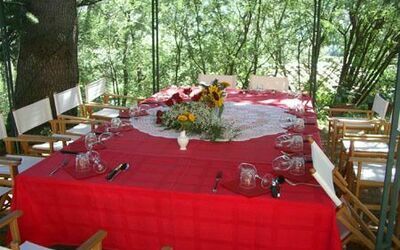 Tennis table, barbecue, play ground are at your disposal. 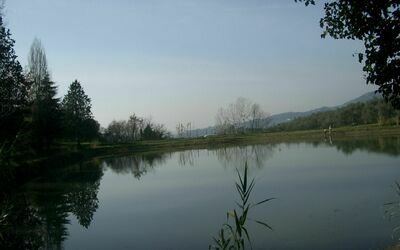 Just above the vineyards is a little lake with a beautiful view of the valdinievole valley, where guests can walk or relax and picnic. 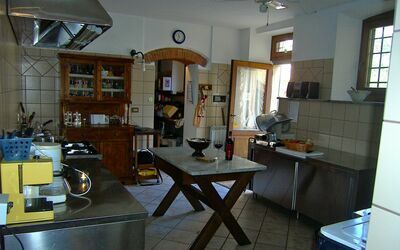 Restaurant on the premises available only for the guests for WEDDINGS, EVENTS, COURSES , SPECIAL OCCASIONS. 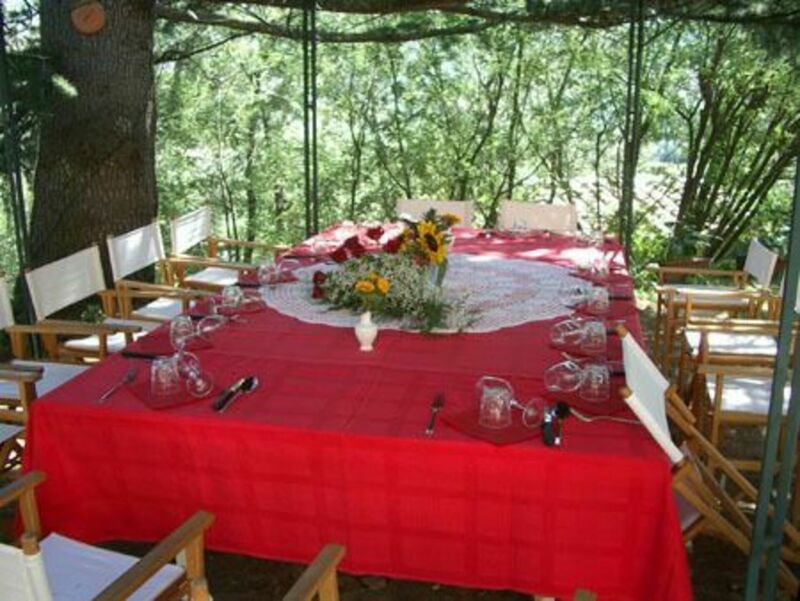 We have a large range of facilities you can hire for special celebration or events. Large hall for up to 100 people, and outside area including garden. 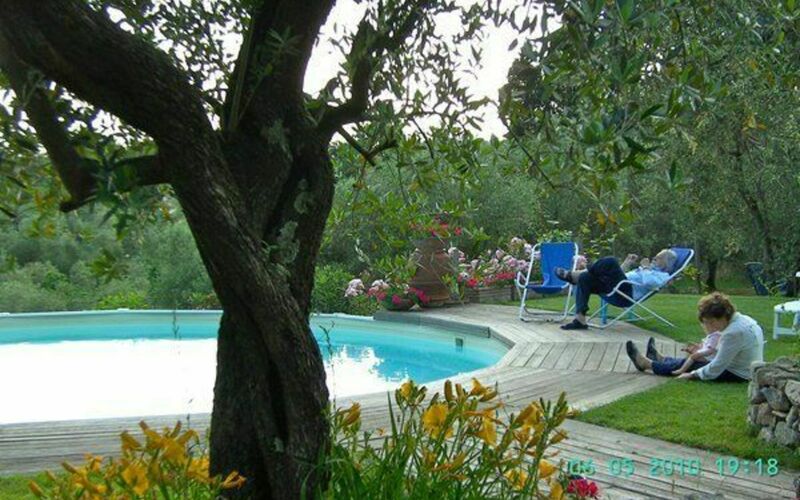 Natural spa resort, Grotta Giusti, very close at 4 km from the property. Special discount for our guest. 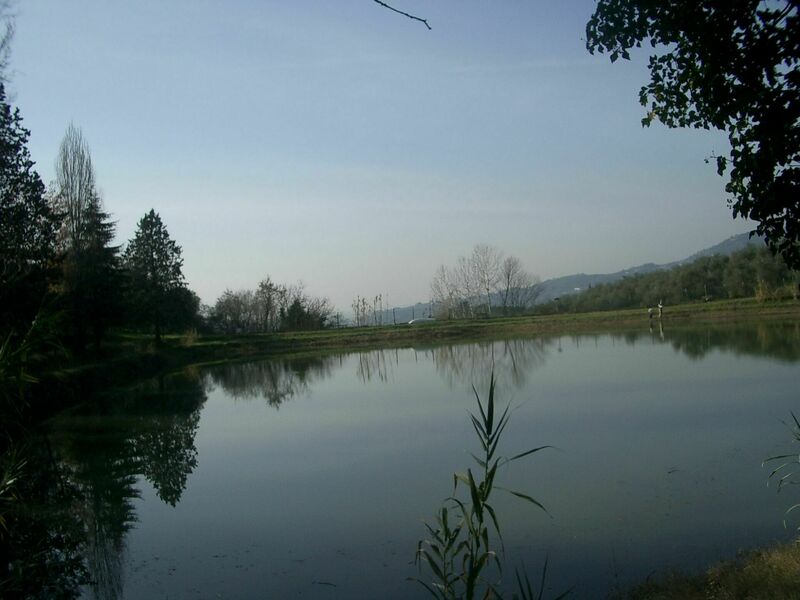 Natural area with parks, gardens, Pinocchio park, Leonardo da Vinci house and Museum, Zoological garden, Medioeval villages. Railstation is in Montecatini terme, train to Florence are each hour and journey take about 1 hour. 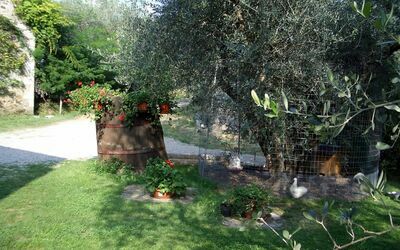 Taxi service to railstation is about 18 euro. 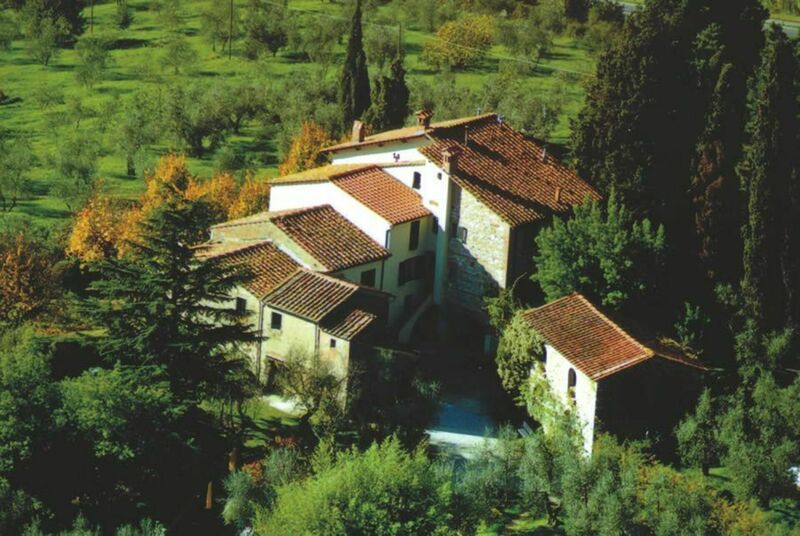 Parking place is in an open space in front of the house. 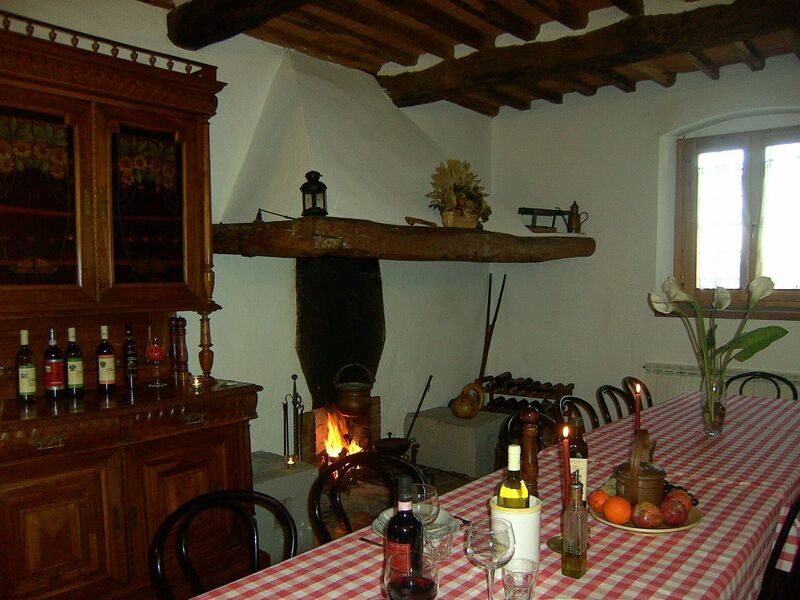 Wine tasting from 15 euro p.p. 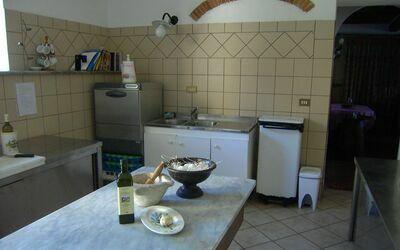 Meals from 22 euro p.p. 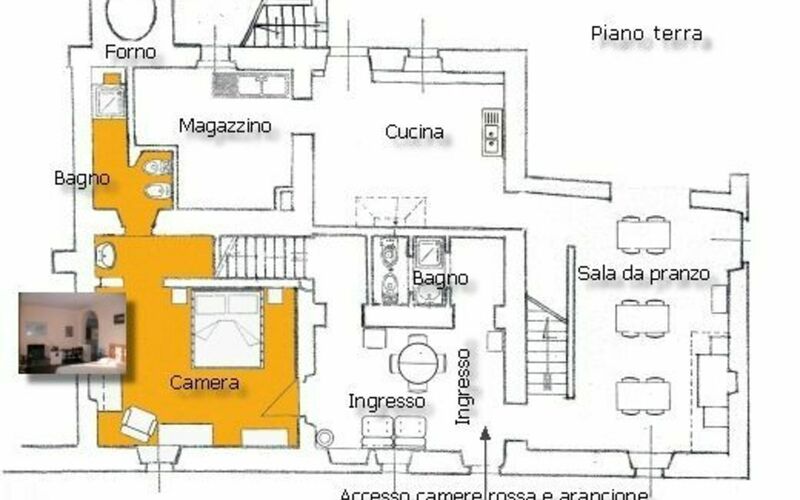 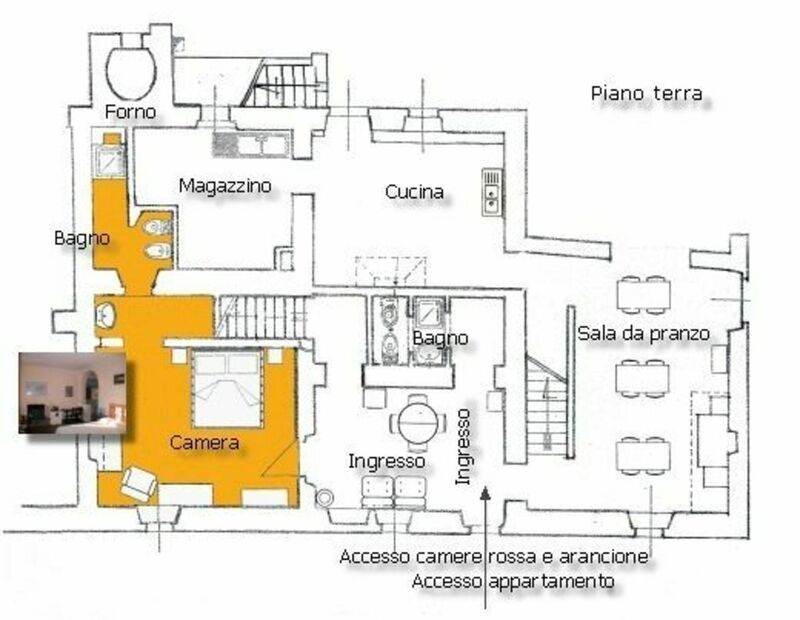 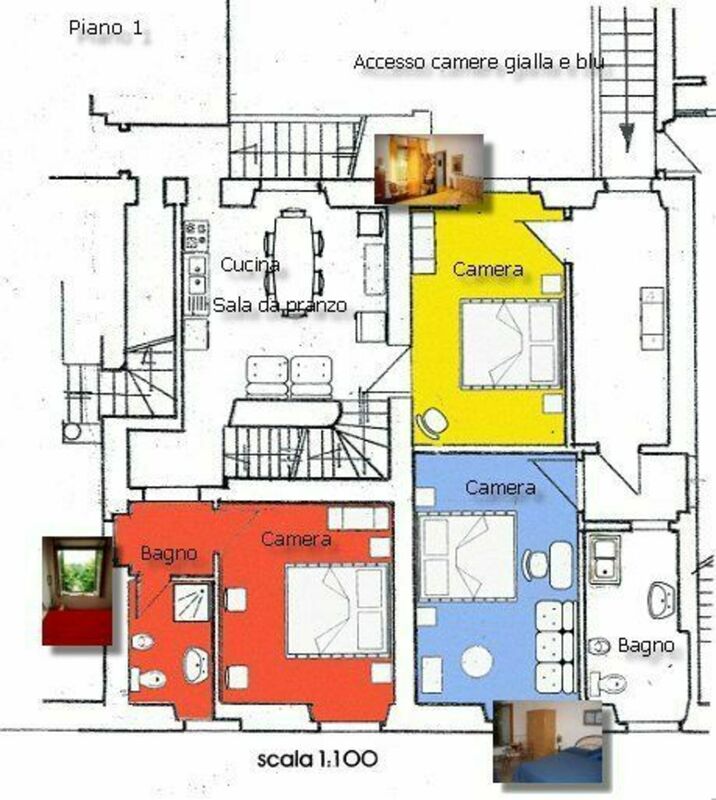 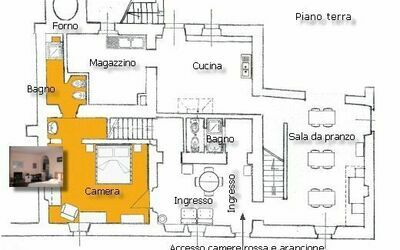 Ground floor entrance, bathroom with shower, the dining room with the original cotto floor and with a big fireplace and from here you can go in the garden to eat outside. A professional kitchen with pantry, gas stove with oven, dishwasher, ceiling fan, 2 sinks and a fridge, 1 double bedroom with bathroom with shower en suite. 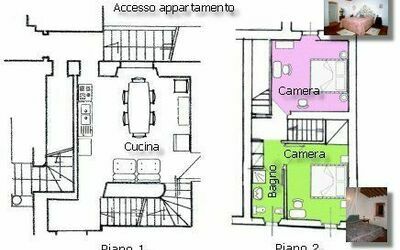 First floor: 2 double bedrooms, 1 bathroom with shower and 1 kitchen with 4 gas hobs, oven, microwave, fridge, small freezer, washing machine. 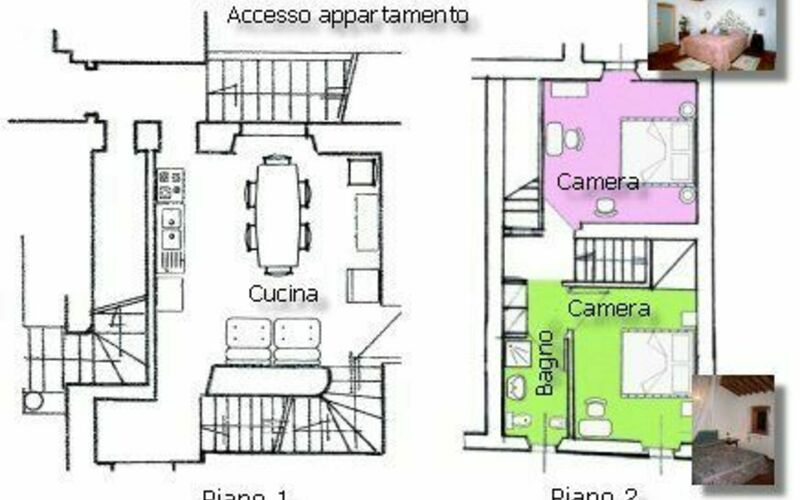 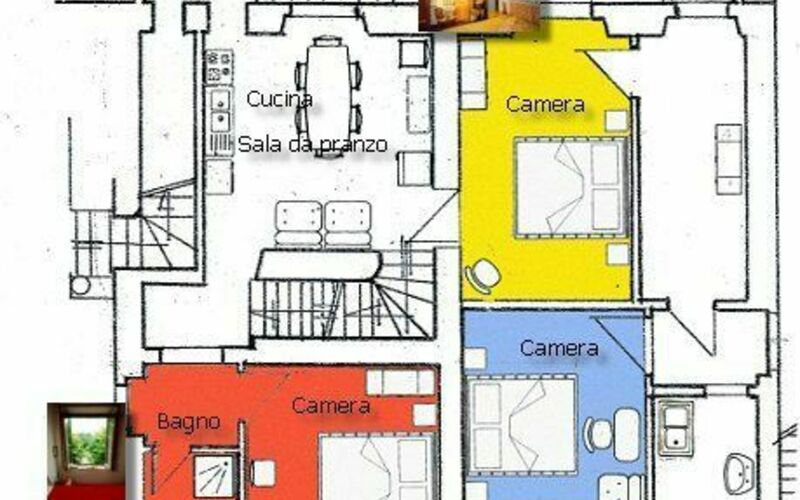 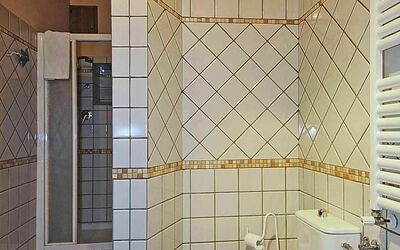 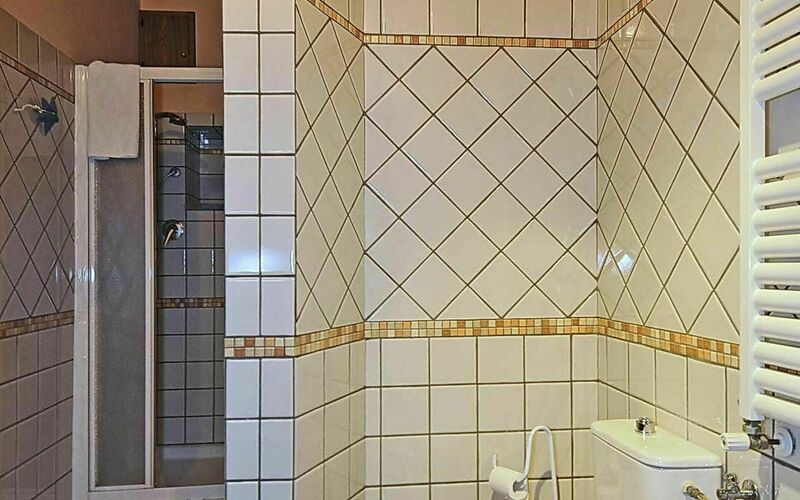 Second floor: 2 double bedrooms and 1 bathroom with shower. 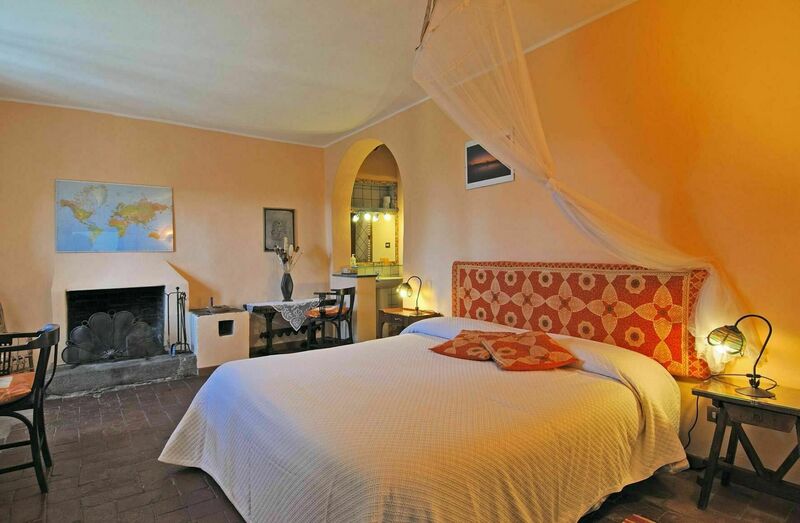 All the beds can be double (160*200) or separate. We can add an extra bed in each room (to be paid on the spot). 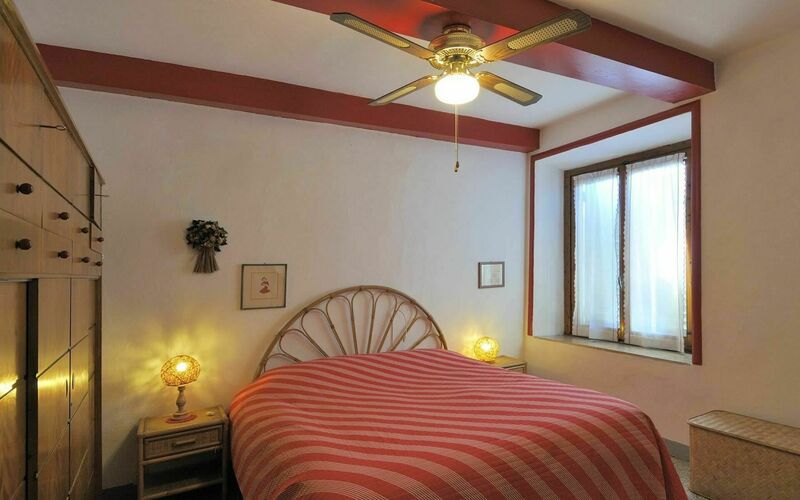 There is a fan in each room.